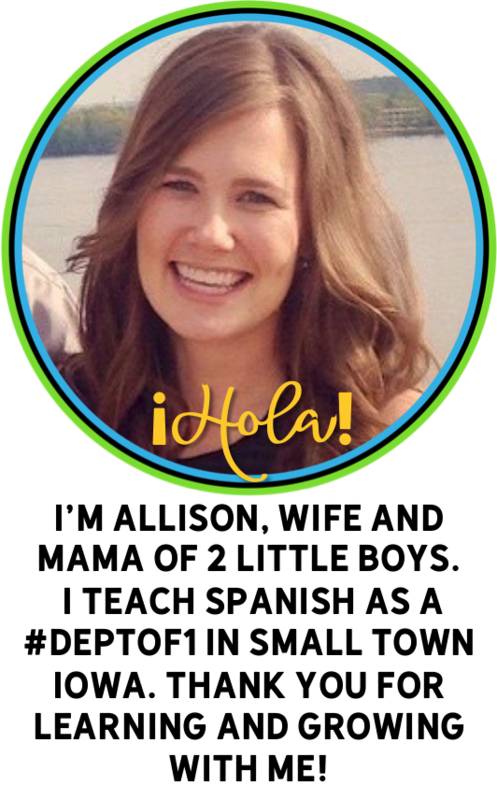 After completing Martina Bex's Búscalo / Latin food storytelling unit, I knew I wanted to more in depth on one of students' favorite topics for Spanish class, food! I decided we would watch the movie Canela to expand our understanding of Mexican food. It can be found on Netflix right now and is a very appropriate and cute movie for all levels of Spanish classes. There is a great section that shows the making of the traditional Mexican "mole" sauce, including the many traditional ingredients, if you did not have time to watch the entire movie. 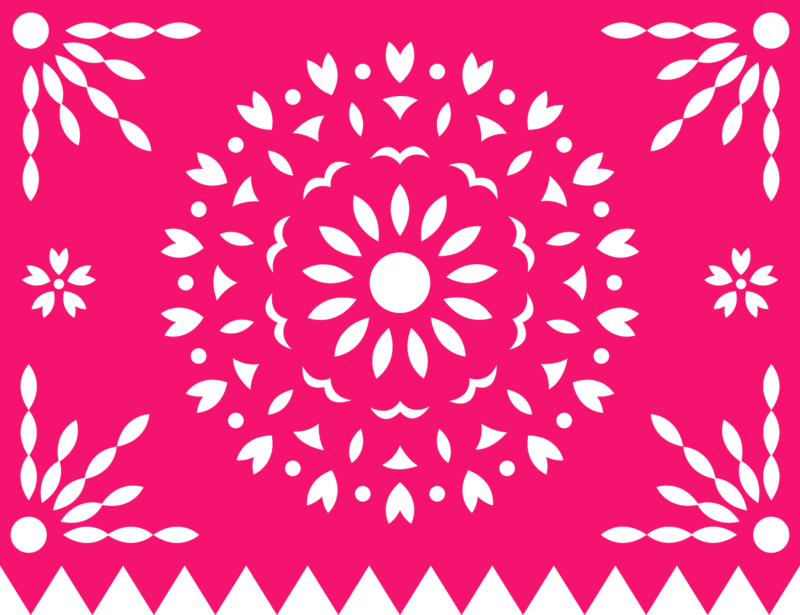 Kara Jacob's shared an awesome upper level guide for Canela on her website in December. It has a ton of chronological discussion questions in Spanish, as well as a description of the main characters and key food vocabulary related to the movie. If you are planning on using this movie with upper levels, her guide will be perfect for you. I have just recently realized that with novice levels if I want to asses their listening comprehension in Spanish it is OK to have questions in English! I did not want them to get frustrated by both trying to follow a movie in Spanish, while simultaneously deciphering and answering questions in Spanish, so I decided to make a novice level guide. While watching El Internado with my upper level classes, I now understand that the students do not have to have a worksheet in front of them to answer questions to keep them engaged and on task while watching a movie, but for my particular Spanish 1 class I think having a guide assists their focus. 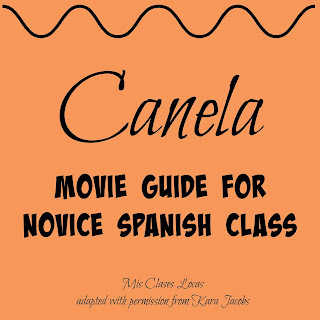 Here is the Novice Level guide for Canela I created from Kara's guide. I am sharing my version with her permission. While watching the movie, I used her discussion questions in Spanish while pausing and checking for comprehension. 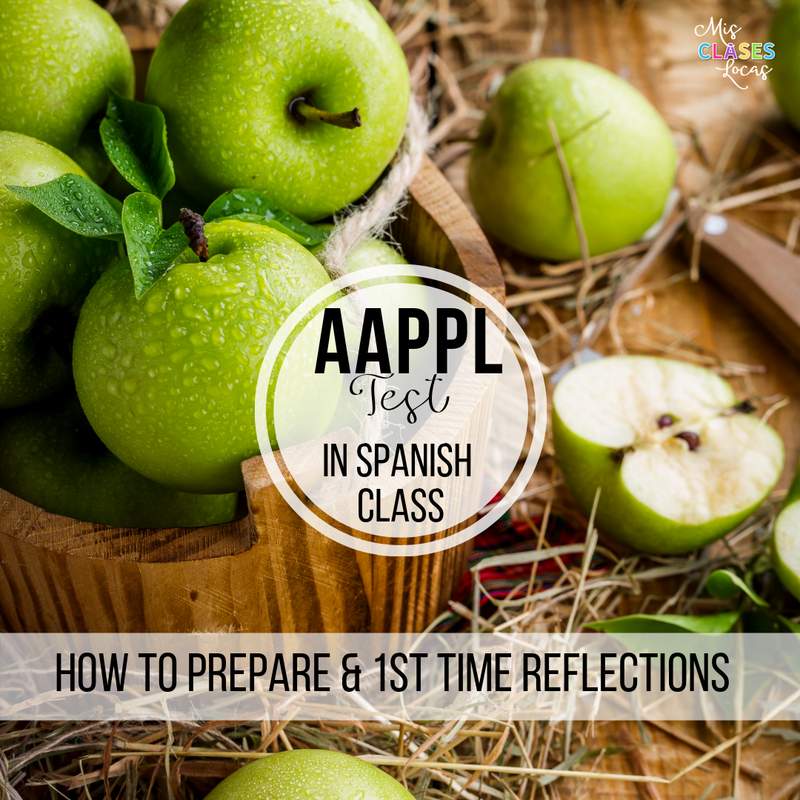 To keep the class in Spanish, we did not discuss the English question, but rather discussed them in Spanish. I do think having a guide in English helped some of the more squirmy freshman boys to stay focused and gave them specific things to listen for. The guide with English questions could also be used with the movie as a substitute lesson plan for a non-Spanish speaker. **Update 2016** Check out Kara Jacobs, Elena López and Amy Zimmer's Amazing entire unit centered around this movie here! Do you watch movies in class? Which ones? I am watching this movie today with my 8th graders in Spanish 1 class. Your movie guide is amazing!!!!! THANK YOU!!!!! Thank Kara Jacobs! I just adapted her great guide! Not on Netflix anymore, any ideas where we can find it? I know it has been hard to find! I bought it last summer on Amazon. I would guess online is your best option. Also, you can always request to Netflix to bring it back! Thanks for the link. I've just requested it. Our high school Spanish classes watch it. I'm in the in school suspension room and sometimes the kids I have need to have access to it too. Typical Week - No Textbook Needed!